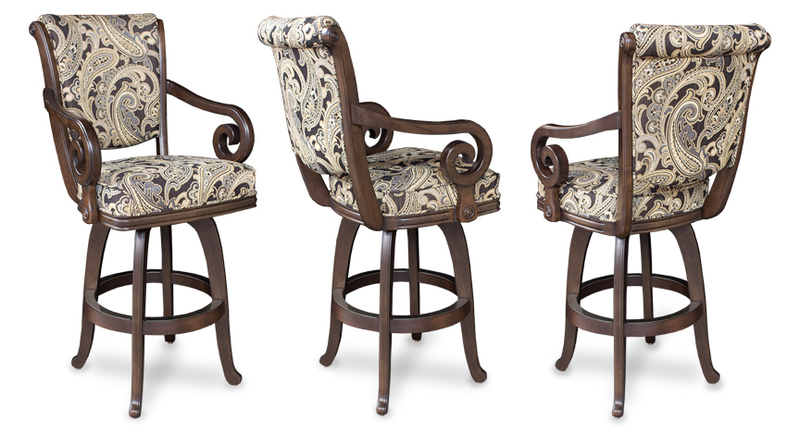 The S2725 swivel stool features classic traditional design and a fantastic sit. Made with the finest quality construction and made-to-order with your choice of finish color, fabric, or leather. The S2725 swivel stool is our classic traditional design made with a solid kiln-dried hardwood frame for exceptional strength and durability.